The region of Podlasie in northeastern Poland is a well known destination for nature lovers. The pristine Narew River and primeval Bialowieza Forest together build a woodland and wetland area that is unique in Central Europe. Enchanting villages with colourful wooden houses and historical monuments of many different cultures form a beautiful background for a relaxed cycling tour. 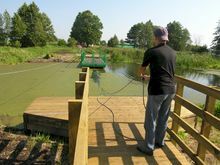 The "Green Velo" cycling trail in eastern Poland has recently been attracting many recreational cyclists. 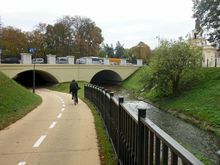 New cycling paths have been laid in the city of Bialystok and it is now possible to comfortably and safely cycle on the round trips showed on the maps. We have an 8-day round trip from/to Warsaw for a special price of only EUR 495, which starts every Saturday, just like many of our other modules. Arrival in Warsaw (by flight or train) and onward journey by train to Białystok (there are several trains between 10:00 am and 8:00 p.m. and the journey is about 2 hours long). You could also take your own car up to Bialystok (or Waniewo). You will be put up in a good hotel in the city centre. Bialystok, with its magnificent Branicki Palace and large palace grounds, is a city that has enormously profited from Poland's economic upswing. You will see beautifully renovated houses in the historic city centre with a pedestrian zone, fine cafés and restaurants that surround the triangular market place. This is in the midst of examples of modern architecture such as the modern opera house with its facade of glass and creepers. We go along the Green Velo route and leave Bialystok in the westward direction. 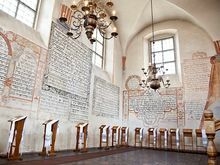 We will stop for lunch at Tykocin, a pretty town with a large synagogue from 1642, which is now a museum for Jewish culture. We will stay the night in Waniewo Village, in a guest house right next to Narew National Park, also known as the "Polish Amazon". This leg or our tour is distinctly shorter if you travel directly to Waniewo. You can walk along the marshes here, go on to the wooden jetty with hand-operated ferries, go for a swim in the river or investigate the river labyrinth by punting through it. 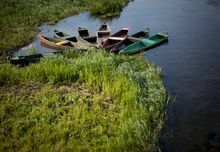 Today you will be cycling upstream along the Narew Valley. We pass many long linear villages with colourfully decorated wooden houses. The further east we go, the more delightful these villages seem to be. We cycle through the land of the Orthodox Christians today. The villages have charming wooden churches and chapels and the city of Hajnówka has an imposing Holy Trinity Church. Now we are on the Green Velo route once again and enter the primeval forest of eastern Poland. 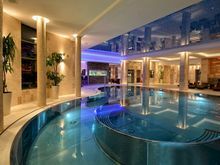 You spend the night in Białowieża in a 3-star hotel with a swimming pool and a wellness area. Today we experience nature at its most pristine in Puszcza Białowieska - Europe's last real primeval forest. Wolves, lynxes and the European bison live here under the giant trees. It isn't far to the next lodgings and one can take the time to enjoy and explore the area on other tracks. And it is quite possible to take a short, visa-free visit to Belarus. First you go past the large Siemianówka Reservoir, a refuge for waterfowl, with the possibility of going for a swim. Soon afterwards we cycle on in the shadow of the virgin Knyszyn Forest. A detour leads us to Polish Orient - Kruszyniany, a village of the Tartars with a unique green wooden building - an old mosque. The forest region abounds with picturesque river valleys. 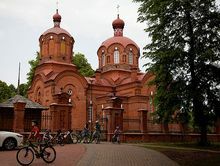 The spa town of Supraśl, a forest health resort with a 550-year old historical monument - an Eastern Orthodox monastery for men, is situated at Suprasl River. And then we cycle back to Bialystok on the newly laid Green Velo cycle trail. 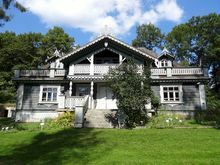 For those who prefer to be surrounded by greenery for the entire trip our suggestion would be to book the first and last nights in Waniewo Village (instead of Białystok). And on Day 2 take a round trip to Tykocin (ca. 40-45 km) and on Day 7 the leg is about 60 km long - you cycle via Bialystok back to Waniewo. For this option it would be convenient to come with your own car (you can park in Waniewo free of charge). However, participants may also come by train. We will be organising additional transfers from Bialystok or from Lapy train station for those coming by train. Very easy tour. Ca 80% on paved roads, 20% on forest trails. The terrain is entirely flat. Train ticket 2nd class Warsaw - Białystok and Białystok - Warsaw. 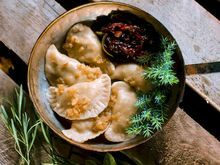 Not included in the price: Travel to Warsaw, entry fees, private payments such as other meals, drinks and tips, optional boat trip.